Today’s blog post is a special contribution from Anna Kucirkova. Anna speaks 3 languages has a passion for kids and writing. While she has been to many places in Europe and South East Asia she still wants to explore the rest of the world. 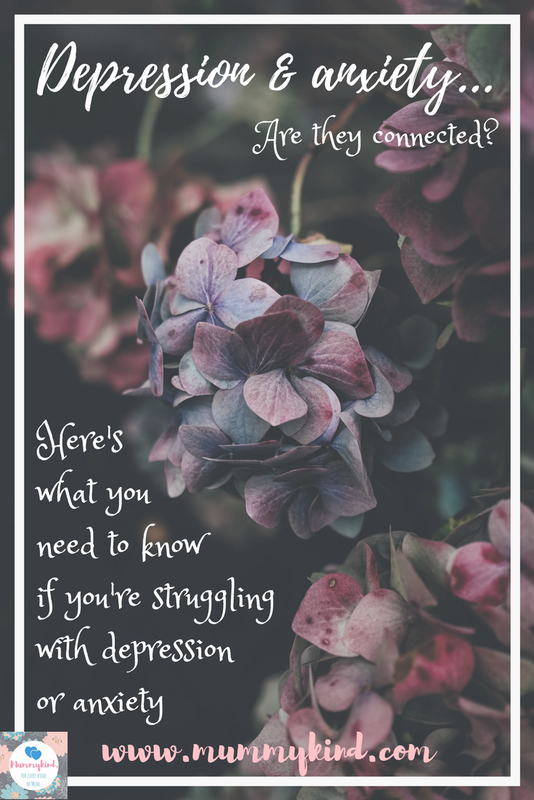 Struggling with depression or anxiety? Here’s what you need to know! Anxiety and depression are broad terms that can induce some anxiety just by researching and thinking about them. Oftentimes the two conditions overlap, which creates a confusing set of symptoms that both overwhelms and causes you to feel extremely low. If you believe that you may be affected by anxiety and/or depression, take a deep breath–you are not alone. The effects are serious but also fully manageable with the right tactics. In this article, we’re going to examine the vicious combination of anxiety and depression to understand how they are related and how the latest research helps us understand the connection between them. Anxiety disorders cover a broad spectrum, in large part because doctors, psychologists, and psychiatrists have created multiple categories of anxiety based on their triggers or causes. However, all anxiety disorders are primarily characterized by a sense of excessive fear or tension. This is usually understood as a heightened response to a real or oftentimes perceived threat, or anticipation of a future threat that is often not based on situational reality. There are some exceptions to this, such as Generalized Anxiety Disorder, which often creates a sense of anxiety without any connection to specific events. People suffering from anxiety experience disruptions in their behavior and ability to function normally. Many times, the heightened fear and anxiety responses associated with anxiety disorders manifest themselves in panic attacks, which are a psychological and physiological response to a generalized sense of fear. Other symptoms may include difficulty breathing, rapid heart beat, a sense of tightness in the chest, difficulty concentrating, etc. Essentially, when the body is in the grip of anxiety, it has unnecessarily entered into fight-or-flight mode. The body thinks a threat is present and unleashes a host of chemicals that prepare the body to either fight or run from the perceived threat. Like anxiety, there are multiple types of depression which are typically categorized by causality or frequency of depressive episodes. General depression (often referred to as “clinical depression”) is diagnosed by a list of symptoms that range from the familiar to somewhat surprising. The primary and most well-known symptom is an overwhelming feeling of sadness and/or a loss of interest and enjoyment in most usual activities. The other symptoms associated with major depression include changes (decrease or increase) in appetite, insomnia or hypersomnia, changes in motor skills and cognition (either increased activity like fidgeting or decreased activity which results in a generalized lethargic state), constant fatigue, feelings of worthlessness or guilt, recurrent thoughts of death and suicidal ideation with or without specific plans for committing suicide, and changes in cognition. nding of depression, which can lead to a further spiral as a person feels sad or “low” and subsequently struggles to complete tasks they previously found easy. Symptoms of depression last for two or more weeks and typically represent a substantial change from a person’s functionality and personality prior to the onset. Dealing with either or both sets of anxiety and depression symptoms can prove severely disruptive to daily activities, both because of anxiety-related heightened responses to relatively normal external inputs and because of depression-related suppression of energy, cognition, and general satisfaction. Psychologists are increasingly noting a correlation between anxiety and depression, which may be structural or psychological. Feeling anxious can lead to depression and feeling depressed can lead to anxiety, as in either case the mind starts to fixate on the recent change in mood, which further affects mood. Both disorders have widespread physiological effects, from changes in brain activity and energy level to reduced ability to function at the typical level for a given patient. Stress, anxiety, and depression all create vicious cycles that affect your immune system, digestive system, and adrenal responses, all of which have widespread trickle-down effects that can cause other medical issues. The most significant effects of anxiety and depression are widespread impacts on quality of life, including happiness, ability to complete basic self-care and educational or professional obligations, and mental and physical wellbeing. It’s not uncommon for people crippled by anxiety or depression to be unable to leave the house, go to work, or even perform simple tasks. The energy required to overcome the symptoms is simply too much. The combination of disorders can dramatically impact mood and even the ability to make it through the day without major setbacks like panic attacks or depressive episodes. The potential debilitating effects of these disorders underscore the need for accurate diagnosis and comprehensive treatment plans that allow you to resume life without the fear or weight of anxiety and depression. The good news is that anxiety and depression can be effectively managed and treated. This sometimes feels impossible for those who are in the grips of either or both disorders, which is exactly why it is so important to seek help professionally and support from friends and family. The causes of anxiety and depression are widespread, and range from structural and chemical to situational and trauma-induced. Even though the symptoms may be similar, the diffuse causes and disorders require different treatments. Virtually all cases of anxiety and depression benefit from talking therapy, which allows patients to discuss their feelings with professionals who help externally process underlying thought patterns or experiences which contribute to depression and anxiety. Counselling (or therapy) is an important component of every treatment plan, because it provides consistency, accountability, and an objective external monitor of relative mental health who can assist in recommending further therapeutic practices and/or medications. Additional treatment plans include medication to balance serotonin levels or to calm hyperactive and anxious brains. Oftentimes, depression medications provide comprehensive benefits including improved cognition, renewed interest in preferred activities, and a more ‘normal’ function of neurological pathways, which can alleviate depression-related anxiety, too. Anxiety medications can come in both daily dosages for management and ‘emergency’ doses to calm down gripping panic attacks which bring physical and mental effects and can be potentially life threatening. In addition to medications, supplements such as St. John’s Wort, Lavender, and SAM-e have proven successful in mitigating some of the most crippling side effects. e natural relief for many of the stressors and symptoms associated with each or both disorders. Regular exercise is a proven mood booster that actually changes your body chemistry. Even a vigorous walk releases endorphins that may not otherwise be activated, and the associated health benefits are known to improve self-confidence and provide a healthier, more targeted outlet for many of the latent emotions that manifest in anxiety/depression. Higher-intensity exercise is universally regarded as one of the most effective treatments for mild depression or anxiety, and meditative pursuits like yoga or certain hobbies are also considered to be effective ways to redirect mental energy and provide you with a sense of calm and ‘control’ that is often lacking when anxiety grips your mindset. Mental illnesses can be frustrating and overwhelming because they seem so vague and deep-set within your mind, but they also are unique in that they can be treated through mindfulness, conversation-based therapy, and small lifestyle changes that can radically alter your overall outlook and well-being. Mental health is inextricably linked to physical health. Just as mental illness can have negative effects on your physical well-being, physical health problems can affect your mental health. These include poor diet, lack of exercise, sleep deprivation, and social isolation. By focusing on sustainable, healthy daily routines, you can set yourself up for success in battling anxiety and depression. And with professional counselling and potentially medication, what seems like an insurmountable battle may actually be treated with great success. If you feel anxious or depressed, don’t let it overwhelm you. Instead, start with the most important step of all: pick someone to start talking to about your feelings. When you are in the throes of mental health issues, it can be impossible to make the small-but-necessary first steps in treating them. But once you commit to starting, it’s amazing how much better you’ll feel. Depression is a most dangerous disease in the world and it cause of anxiety disorder. Many people do suicide and starting alcohol, but they never feel better. They need very original and natural medical treatment. I want to share my matter about on the same concept that I was also a patient of such problems and I searched on internet and read blogs and medical things. I found a blog of CBD Vape Juice and read it very carefully and starting the CBD products as medicine , after that I checked my body and mentally performance it was amazing results. This is not a drug this is a natural solution of anxiety and gives you the strength for thinking. Previous Post 5 reasons why I never want to be pregnant again!